Agriculture sustained the first settlers of Kentucky in the 1770s, and the business of raising crops and livestock continues to be the backbone of rural Kentucky today. Kentucky is home to a wide variety of agriculture production, from horses and beef cattle to tobacco and corn. Agriculture in Kentucky is one of the state’s leading and most vital industries, contributing about $45.6 billion to Kentucky’s economy each year. Kentucky agriculture is also constantly changing to keep up with consumer demand and the ever-growing world population. Kentucky is home to 75,966 farms, from large to small. The average farm size in Kentucky is 171 acres, compared to the national average of 444 acres. Kentucky agriculture is dominated by small family farms. 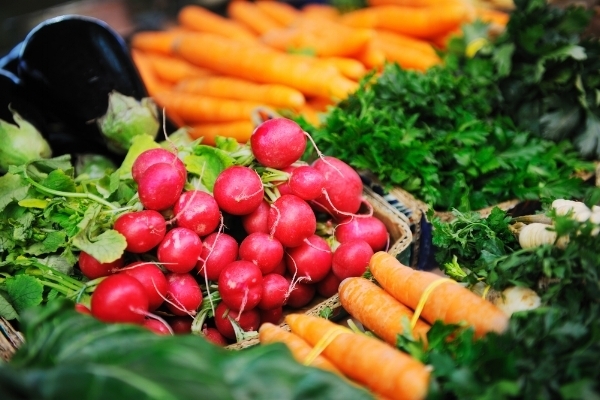 About 66 percent of its farms (49,942) have annual sales of less than $10,000. Of Kentucky’s 25.4 million acres, just over 50% is considered farmland (12.8 million acres). Kentucky agricultural cash receipts (sale of crops and livestock) set a record $6.5 billion in 2014, but fell to $5.4 billion in 2016. Receipts in 2017 were reported at $5.6 billion due to greater livestock sales. Crop sales continue to decline due to price received by farmers. These versatile crops are used for animal feed, , foods, fuels, and can be found in thousands of products. Feed grain sales totaled $1.5 billion in 2017. Broilers (chickens raised for meat), eggs, and turkeys provided Kentucky farmers more than $1.2 billion in 2017. Horses, ponies, donkeys, and mules have an annual economic impact of $4 billion. Horse sales in 2017 totaled nearly $1 billion. Kentucky is home to more than 2 million cattle and calves and is the largest beef cattle state east of the Mississippi River. Sales totaled $740 million in 2017. 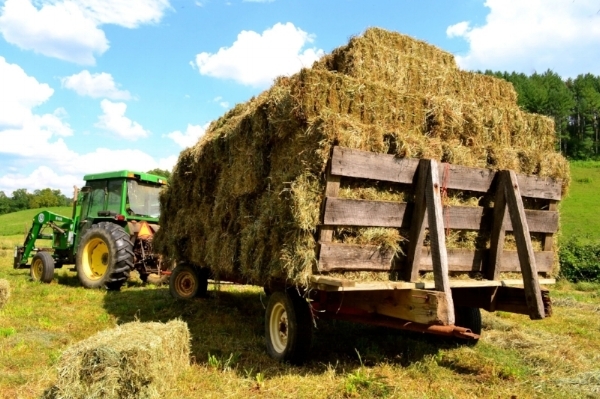 While hay does not bring as much money from sales as other crops and livestock, hay (cut and dried grasses for feed) are produced on more than 2 million acres, more than any other crop. 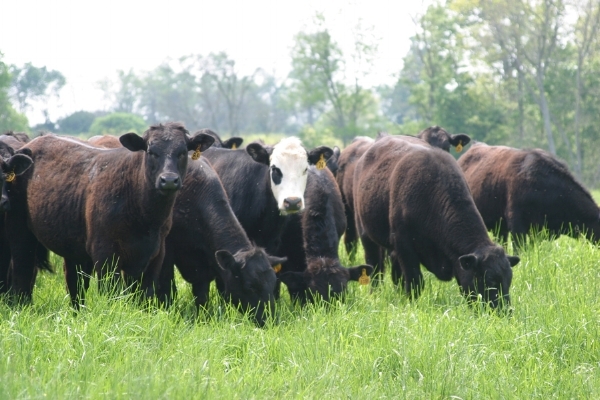 Kentucky soils, water resources, and climate make the commonwealth the perfect place to feed grazing animals. Anyone east of the Mississippi River who asks where the beef is needs to know the answer: Kentucky, of course! As weather warms up and grills are uncovered, burgers and steaks can be heard sizzling away. Do you know the significance of beef in this state, though? May has finally arrived, and soon we’ll hear the much anticipated pounding of the hooves. The 143rd running of the Kentucky Derby is here! For the fourth year in a row, the smells at the track include the delicious aromas of Churchill Downs Executive Chef David Danielson. National Ag Day is Tuesday, March 21, and it is a good time to reflect on some of the many ways agriculture affects us every day. Agriculture is a major economic driver in Kentucky and the United States. Nationally, it is one of few sectors that can boast a trade surplus. The U.S. Department of Agriculture’s National Agricultural Statistics Service (NASS) released the Cattle report on Jan. 31, showing little change in beef cow numbers, but a continued decline in milk cows in Kentucky.  According to the Kentucky Field Office of the USDA’s National Agricultural Statistics Service both sheep and lamb inventories and goat inventories decreased in Kentucky from last year. Kentucky's top commodities are poultry, cattle, horses, and crops. From horses to bourbon to tobacco, Kentucky has long been known for its agricultural offerings. As one of the state’s leading and most vital industries, agriculture contributes approximately $45.6 billion to Kentucky’s economy each year, according to the most recent statistics. There is no such thing as an ugly tomato anymore. In the past, as many Kentucky farmers were harvesting tomatoes and other produce, they might cull those that were blemished or deemed too imperfect to sell in the grocery store produce bin or at the farmers market. It was survival of the least cosmetically flawed.